Sun Automation is a highly innovative design, development and manufacturing company, focused on creating custom automated solutions for our customers. We have over 30 years of experience in automation, saving our customers millions of dollars by converting manual processes into an optimized automated solution. 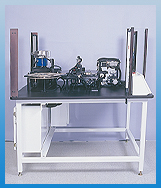 Sun Automation offers extensive expertise in all phases of product development. We take projects from concept through delivery, taking care of every of detail in between. 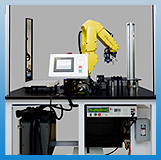 Sun Automation also offers micro-line product manufacturing and assembly machines, in addition to many other automation products. Sun Automation Inc ©. All Rights Reserved.